The FYP brings together 35 young industry professionals from a variety of demographics and presents them with a challenging conference project to prepare. Over three days, these professionals are given networking opportunities, educational sessions, social activities and guidance from some of the most influential meetings industry practitioners. Participants leave the FYP with a wealth of knowledge, a stronger network within the meetings industry, and enhanced professional skills. It is organised on the weekend prior to EIBTM and ends on Tuesday afternoon on the show floor. The FYP takes place in the Word Trade Center Barcelona. Delegates are comprised of ICCA members (ranging from convention bureaus, venues, PCO, transport companies, meetings support, etc.) and associations, and are within the specified target group of less than 30 years of age and with 1 to 3 years of experience. What is unique about the FYP? We ensure that we select candidates from a wide range of demographics to be able to give the FYP a full spectrum of opinion and experiences. The programme encourages delegates to utilise their new network within the meetings industry by solidifying the client/supplier relationship and by taking advantage of the wealth of knowledge delivered by some of the most established meetings industry practitioners. Gain a better overview of the meetings management industry and its stakeholders. You will leave with a more complete understanding of the different sectors in the industry and their needs and ways of working. Strengthen your connections and networks with peers and industry leaders from around the world. The experience of working in multi-cultural and buyer-supplier teams. The opportunity to network and have discussions with some of the greatest meetings industry practitioners. Congratulations to the FYP 2014 exercise winners! 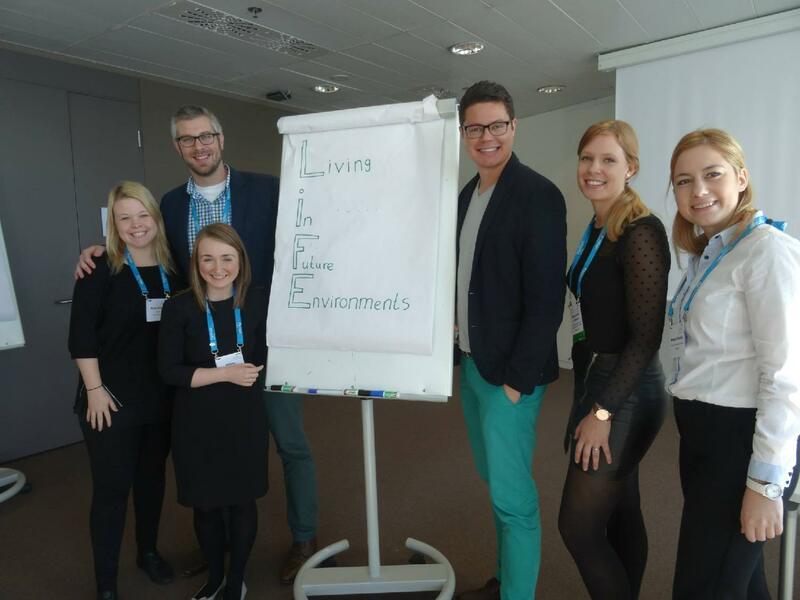 We congratulate Sina Bunte (ICCA), Alison McConway (Glasgow City Marketing Bureau), Matt Kerswill (Metro Toronto Convention Centre), Basileu Tavares (Iguassu Convention & Visitors Bureau), Simone Oude Luttikhuis (Neuromarketing Science & Business Association -NMSBA-) and Matea Stanisic (Valamar Lacroma Dubrovnik), for submitting their winning ideas!